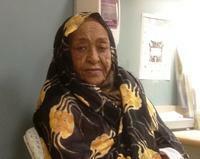 As some of you may know, my mother, Nafiesa Hassan, was diagnosed with Polycystic Kidney Disease in 2011. She began hemodialysis this year and requires three tiring treatments a week. Her medical history is complicated with hypertension, asthma, hypothyroidism, osteoarthritis, anemia and gout. Nafiesa’s doctors from Massachusetts General Hospital have determined she needs a kidney transplant to stay alive and that she is a good candidate for the surgery. Nafiesa has MassHealth, which is very helpful, but this will not cover all the costs for the transplant. She has been placed on the kidney transplant list, but was put on hold until she can raise enough money to cover her pre- and post-transplant prescriptions that MassHealth will not cover. Nafiesa will need between $25,000 and $30,000 for the required immunosuppressant medications. This is a long lasting situation as she must take these medications for the rest of her life. Additional out-of-pocket expenses include co-pays, travel to and from the center, and relocation. To help reduce this financial burden, a fundraising campaign in Nafiesa’s honor has been established with HelpHOPELive, a nonprofit organization that has been assisting the transplant community for 30 years. All donations are tax-deductible, are held by HelpHOPELive in the Northeast Kidney Transplant Fund, and are administered by HelpHOPELive for transplant-related expenses only. Please, if you can, make a donation today. Together we can make a difference! Thank you for your kindness and generosity.